Derrick Kosinski & Scott Yager are joined by Tony Raines. After that crazy episode of The Final Reckoning Tuesday, we had to go right to the source. Tony Raines (@T_Raines33) joins Derrick (@DerrickMTV) and Scott (@SHOTOFYAGER) to break down the altercations depicted on The Challenge this week. He opens up about his feelings about it now, how he felt about it then and reveals some of the stuff we didn't get to see as well. This is an episode you do NOT want to miss! If you want MORE ... See More talk about this particular episode, Melinda Collins (@MelindaStolpMTV) joined us for a 2 hour podcast over at www.Patreon.com/ChallengeMania where we go even deeper into our opinions and on the matters and hand and take loads more of questions. Poshmark will give you $5 off your first order if you use the code CHALLENGEMANIA after downloading their app and making a purchase! 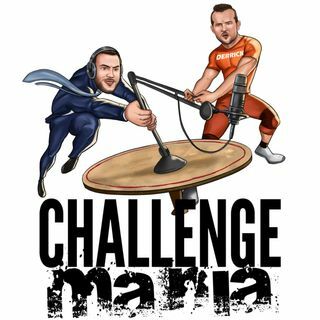 www.ChallengeMania.Shop is the place to go for YOUR CHALLENGE MERCH! then why is it not okay for someone else outside the challenge to do this to another human being?